This is a quick and easy recipe from the Quick Meal Queen, Natashja Szortyka, using Mama Lucia Meatballs. The recipe is for delicious mini meatball sandwich bites! 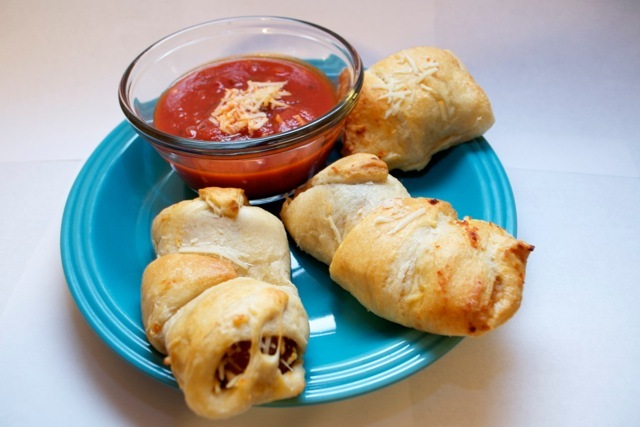 These would be great as an appetizer at a holiday party or while watching this weekend’s football game. 1) Heat oven to 375°F. Thaw out meatballs in microwave for 1 minute; cut in half. 3) Separate dough into triangles. Wrap dough triangle around two meatball halves. Place on ungreased cookie sheet. These meatball sandwich bites sound so quick and easy!